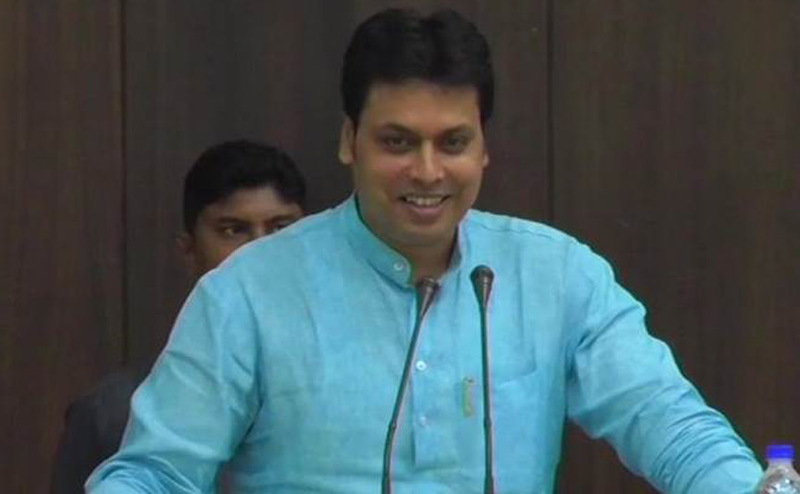 File photo: Tripura CM Biplab Kumar Deb. Tripura is all set to host the sixth edition of the Northeast Youth Festival from November 15-18. The festival will be inaugurated by Tripura Chief Minister Biplab Kumar Deb at Children’s Park in Agartala. The main message of the festival is to appeal the youths to contribute towards a drug free society and will see participants from all over the country. The total participants from the Northeastern states would be 1000, reports The Indian Express. The festival will have different sporting and cultural events. It will also showcase food items and handicrafts of the northeastern region. A colourful rally will mark the occasion before the formal beginning of the festival. Different forms of music and dances, adventure sports, martial arts will be held. Bollywood singers Alka Yagnik and Saurabhee will perform at Swami Vivekananda Stadium in Agartala on the concluding days. The Chief Ministers of the northeastern states is set to attend the festival. The festival is being organized at an estimated expenditure of Rs 3 crore with the aim of providing the youths to showcase their talents.